The internet has changed everything. It wasn’t that long ago when patients relied exclusively on physicians for healthcare advice, diagnosis and treatment. Today, however, an increasing and alarming number of people are turning to mobile healthcare apps for healthcare expertise. And it could be dangerous. According to the fourth annual study on mHealth app publishing conducted by Research2Guidance, there are currently more than 100,000 healthcare apps available to both Apple and Android users. According to the study’s authors, it’s estimated that 1.5 billion people around the world will have downloaded a healthcare app by 2018. Many of those who use mobile healthcare apps cite convenience as their top reason for turning to their smartphones for healthcare information. They like having access to their medical records, the ability to make appointments with the swipe of a finger and the plethora of information about medication, symptoms and preferred treatments. Others use mobile healthcare apps to track their diets, exercise habits and sleep. Most people consider mobile healthcare apps to be incredibly useful. Physicians, however, should be wary of the way their patients use the apps. One study published in 2013 found that the average American spent about an hour online each week searching for healthcare information. While many search for general information about allergies and treating the common cold, others seek information related much more serious conditions—and then accepted what they found online as undisputed healthcare truth. The result, according to research conducted by the Pew Research Center, is that only about half of all the people who looked for and found healthcare information online actually followed up with their physicians. This trend puts both patients and physicians in precarious positions. While people are increasingly using and trusting mobile healthcare apps, their faith in physicians is in a downward spiral. A recent study found that only about 23 percent of Americans have “a great deal” of confidence in the country’s healthcare system, and a disappointing 58 percent say that doctors can be trusted. As with any app, there are those mobile healthcare apps that are reliable and there are those that should not be trusted. For this reason, it is important that physicians familiarize themselves with apps that are both useful and accurate—and then share those apps with patients. At the very least, physicians will know from which sources their patients are getting their information, which is the first step towards ensuring that patients are not taking bad advice. Patients are increasingly being asked and expected to take more responsibility for their health and care. Hence, they many turn to apps for information. Physicians can leverage this trend by encouraging patients to share information about their use of mobile healthcare apps during office visits. Engaging patients in honest, authentic conversations about online information—whether treatment options or ways to deal with symptoms—can actually lead to more accurate diagnoses and care that is more personalized. Many apps can actually make physicians’ lives easier. They assist with the scheduling of office visits, provide patients with access to their medical records and allow patients to ask questions. Physicians should identify the apps that make the most sense to their practices and embrace them. Patients are using apps anyway, so physicians should use them to their advantage, too. Did you like this article? If you’d like to read others like it, subscribe to our blog! Physicians and patients alike face increasing pressures with regard to care. Doctors can be pessimistic about their field due to rising demands and over 40% of patients take on health risks due to unclear communication. The main problem is a focus on single encounters between patients and clinicians which contributes to over-spending in healthcare without clear benefits. Patient engagement in healthcare helps by focusing on collaboration among patients, family, clinicians, and staff. In particular, it combines consumer, healthcare, and patient and family engagement through the integration of each across all levels and settings of care. Through the following tips, a patient can take center stage as a full participant in their health, leading to better outcomes and lower costs. Sharing information is the most basic and most important step, and it starts by providing all details needed to make healthcare decisions. Explain the diagnosis using transparent language and specific data, share educational materials, and discuss potential next steps or treatment options. Keeping patients in the loop will help them feel empowered, resulting in better adherence to recommendations and higher rates of behavior change in areas like exercise and diet. Another key step in patient engagement in healthcare is welcoming family members as active participants in care. In fact, their questions and concerns will help you and your patient ensure productive and meaningful visits. They can also act as advisors or collaborative partners in developing and revising the plan for care. A level of nurturing family involvement will support patient well-being and provide a resource for ample input and feedback. Given that the average generalist conducts around 150,000 interviews over their career, communication is central to engagement. So, begin each visit by inquiring about patient and family needs; then, use open-ended questions and listening behavior like eye contact and body language to engage with patients and family members. During discussions, enable patient memory and clarity by talking at their level, summarizing talking points, clarifying statements, and inviting questions and dialogue. The results speak for themselves, as comprehension and satisfaction increase among patients when doctors lean forward and directly face them. Marketing is a less obvious step for patient engagement in healthcare, but targeting current and potential customers is essential to establishing trust. In particular, physicians can ensure satisfaction through ongoing content like blogs or newsletters with accurate and timely communication through multiple channels including follow-up and reminder e-mails. A web portal also ensures convenient tracking of visits, treatment, billing, and correspondence with the potential for open records and scheduling, which 82% of patients prefer. Another approach is personalized medicine, which frames physicians and patients as partners in care. Although it limits the number of patients and relies on annual dues, this model ensures financial stability for clinicians and easier access to care for patients. In particular, collaboration among clinicians enables greater coordination of care and resulting conveniences for patients like same-day appointments. With better results and patient accountability, personalized medicine has satisfaction rates of 94% among patients and 95% among doctors. With these tips in mind, patient engagement starts by considering the current state of your practice and how to move forward. Fundamentally, improving the relationship between physicians and patients results in better adherence to care and long-term higher quality of life, with decreased hospital visits, morbidity, and mortality. Ensuring that patients and their families are full participants in healthcare is definitely a powerful shift in the right direction. Did you enjoy this article? If you subscribe to our blog, we can share more content with you. Patient safety entails a freedom from threats or injuries related to illness, as well as professional, organizational, and system-level factors. As the landmark To Err is Human study demonstrated, most threats are caused by faulty processes or systems rather than individual care providers. Accordingly, the current fragmented system should be replaced by a patient-centered one capable of more timely, efficient, and equitable care. Yet, as a recent survey of physicians indicates, limits still exist in communication and attitudes, while patients face a lack of finances and awareness. The main issue is thus creating a better culture of safety with procedures that reveal and prevent errors by prioritizing and rewarding their identification and resolution. Here are three key resources for implementing better structure and accountability for patient safety. Since patient safety is fundamentally a systems issue, the first step is system-based practice (SBP). This analytical tool focuses on how to improve patient safety and care quality within a larger health care system. In this model, systems entail interdependent elements working together to provide care. Clinical micro-systems cover clinicians, staff, processes, behavior, data, and technology. Additional sub-elements include organizational purposes, patient experiences, and environments that shape behavior. SBP can help raise awareness of system-level structures and so improve care-giving and change efforts. Yet, it must empower individuals to report errors, push leaders to support error discovery and reduction, identify leaders to enact change, and provide feedback. In so doing, providers can better collaborate, coordinate care, incorporate risk-benefit analysis, and advocate for optimal care. Next, it is important to assess how one measures care quality and impacts. Many techniques can help identify inefficiencies, errors, and ineffective care, with each assessing performance within a larger health care system. Plan-Do-Study-Act (PDSA) uses cyclical assessments to identify causal relationships and make changes. Through Root Cause Analysis (RCA), a multidisciplinary team assesses risks and identifies causes to create an action plan. A Lean Production System builds on RCA by identifying and eliminating wasteful practices and maximizing valuable ones. The Six Sigma method analyzes how solutions affect waste, satisfaction, and financial stability. The goal is to define, measure, analyze, improve, and control processes. Health Failure Modes & Effects Analysis predicts and evaluates errors based on a process map and hazard analysis to help identify risks, probabilities, and preventive steps. As the Joint Commission shows, around 65% of errors result from communication breakdowns. For patients, unclear communication creates confusion, delays diagnosis, and increases costs and risk. Family and friends face anxiety, with all involved losing trust in caregivers. Key steps toward better communication are as follows. Start by agreeing upon expectations and responsibilities. Use teamwork to engage all members in a flattened hierarchy. Ensure safe and respectful environments where all can speak. Use a situational briefing model (SBAR) to enable concise and accurate communication. Prohibit confusing abbreviations, and provide read-backs of verbal orders or critical results. Institute rescue communications including a chain of command, rapid response teams, and stop-the-line orders for intervening if patient safety is at risk. Fundamentally, the lines of communication need to be open, and each health care professional should inspect, stop, and fix to ensure patient safety. Ensuring safety works best when multiple approaches are used to implement solutions across multiple areas. Furthermore, such efforts are most successful when they develop a clear understanding of problems, involve key stakeholders, test plans of action, and foster a continuing culture of safety by monitoring performance over time. At base, safety is thus not simply a matter of avoiding risk but of cultivating a system attuned to patient care. Elliot Health System is passionate about patient safety and hiring physicians who value it. Join us! A solid physician patient relationship is built on a foundation of trust and understanding. For patients, it’s about being able to trust that the physician has their best interests at heart; that their time and concerns will be accorded the proper respect. For you, as a physician, it’s about being able to understand what the patient needs, even when it conflicts with what they may want. It’s a delicate balancing act between keeping patients healthy, and keeping them happy with the services you provide. Here are six strategies for improving each physician patient relationship you build. Clearly defined staff roles – Each staff member should know how you expect them to contribute to patient care. Daily morning meetings – Go over the day’s schedule and identify patients who may need extra care, times of high patient volume that may increase wait times, and opportunities to build stronger relationships with patients. Lower patient wait times – Patients made to wait overlong for their appointment may feel as though their time and concerns are not being given the proper respect. Encourage staff to monitor waiting times; provide regular updates to those waiting, especially if there’s a delay. Communicating effectively with staff is an important part of meeting the needs of your patients. Keep a close eye on patient interactions that have proven difficult in the past. Give your staff better tools to deal with problems, whether it’s a script for difficult patients, additional training in personal interactions, or other techniques developed specifically for your staff. An excellent way to gauge patient satisfaction is to give them options for feedback. Email or mail-in surveys, patient satisfaction questionnaires, and other feedback tools can help you improve your patient interactions, while also reassuring patients that their needs and comfort are important to you. Each patient will have different concerns, even those who have the same diagnosis. Take some time at each visit to make sure you understand the patient’s concerns, and use your staff to gather relevant information whenever patient interactions take place. Every doctor has their own style of patient care; it’s important to find and cultivate yours. Patients respond better to physicians who feel comfortable in their role as a caregiver. Warmth is as important as professionalism in patient satisfaction; finding the balance that best fits you is an important part of building a stronger physician patient relationship. Offer patients a welcoming, warm environment to foster better physician patient relationships. Bright colors and patient perks like WiFi can change a patient’s entire outlook about your practice. Don’t be afraid to make them feel comfortable while they wait. While implementing some of these strategies will help you build more trust with your patients, putting all six into place will create a space where patients feel well cared for and respected. These strategies will not only help build stronger relationships with your patients, they’ll also ensure your staff knows what you expect and help your practice run more smoothly. 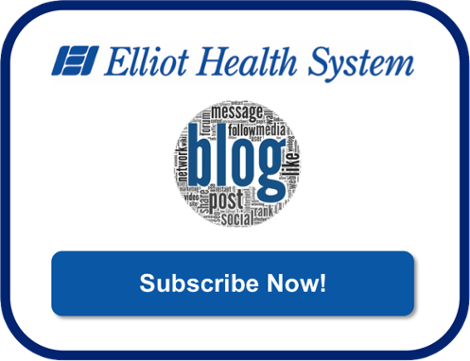 Elliot Health System believes in building strong physician patient relationships. If you’d like to join a health system that is committed to building and maintaining that bond, consider a career with us. It has been said that your reputation takes a lifetime to build and five minutes to ruin. This is especially true for physicians, who now have to worry about their patients, their practices and what people are saying about them on social media and websites devoted entirely to reviews of healthcare professionals. Unfortunately, many of the reviews are written by people who use sometimes arbitrary metrics to mete out endorsements, opinions, criticisms and critiques. The reviews often lack data, proof and substance. According to research conducted by the National Research Corporation, 47 percent of consumers say they pay attention to your online physician reputation. To make matters worse, a whopping 80 percent of consumers say they trust online reviews, which are often written anonymously, as much as they do personal recommendations. Most physician review websites allow doctors to register and claim their identities. This allows you to provide factual information about your practice, including your address, office hours and contact information. Once the site has verified your information, you may also be able to add marketing materials such as photos, videos and information about services. It also allows you to respond–either publicly or privately–to the people who post reviews about you. The ability to respond to reviews can be a powerful tool to help protect your online physician reputation. In the online world of public relations, silence in the face of criticism equates to guilt or indifference. When someone posts a negative review about you (justified or not), it’s important to respond. The key to responding effectively is to remember that you are not talking to the person who wrote the review. You are responding so that others will see that you are a caring, engaged physician who respects your patients. When responding to online criticism, it’s important to keep the information you share general. Resist the urge to set the record straight about individual case. Instead, focus on your practices, policies and commitment to ensuring that patients have a good experience when they visit you. If someone has a personal situation that must be addressed, ask them to directly contact someone from your practice. It is a fact of life that people who are dissatisfied with something are more likely to make their feelings public. This is often the case with physician review websites, which is why it’s a good idea to be proactive in seeking positive reviews. Ask patients who are happy with their care to share their experiences online. A great way to do this is to email patients online satisfaction surveys. Not only will you be able to identify patients who might be willing to share their positive experiences, but you may also be able to identify people who might post negative reviews–and connect with them before they do. You are bound to receive negative reviews. It is an inevitable truth, and it is not the end of the world–especially if you stay calm, develop thick skin and manage the issues. Don’t respond when you are angry. Instead, show you care, put the issue into context, outline any action you plan to take and then move on. Don’t let the five minutes it takes to respond angrily to a review ruin the reputation you’ve spent a lifetime building. Elliot Health System is proud of our reputation. Would you like to join us? What if you could get your hands on a simple piece of technology that could simplify your daily life and help build your practice? Imagine if a simple swipe across the screen of a smartphone could connect you with a network of physicians from around the world who are available to discuss complex clinical cases in a secure online location? Wouldn’t you love to have the ability to connect directly with patients from anywhere in the world, improving outcomes and enhancing patient satisfaction? You can, thanks to mHealth. “mHealth” is short for “mobile health. It refers to the use of smartphones, tablets and other wireless technologies in medical care. It’s a growing industry that’s affecting almost everything about the healthcare industry. Patients are using mHealth to self-diagnose, manage medications and schedule appointments. Smart physicians are using it to enhance the level of care they provide and connect with new patients. Practices are using it to make money. According to data from Grand View Research, mHealth has the potential to become a $50 billion industry by 2020–and much of the growth will be driven by apps. MedShr is a mobile app developed by doctors, for doctors. It allows physicians from around the world the ability to connect with verified medical professionals in secure online locations to discuss cases by specialty. The app’s goal is to make it easier for physicians to expand their professional networks, share expertise to improve patient care and learn from peers and specialists to pass exams. Users of MedShr can also share photos and videos, which makes discussing complex cases more engaging and useful. MedShr is available for free on both iTunes and Google Play. The Care-App takes telemedicine to new levels. Telemedicine, of course, has been shown to reduce hospital visits, reduce healthcare costs and deliver healthcare services to patients who might otherwise not be able to receive them. The Care-App makes it possible for physicians and patients to have private, secure communication over Facebook, which is the largest social media platform in the world. It leverage the power of video connectivity to make the interaction more personal and allow doctors to see some symptoms and problems. It also includes a tele-stethoscope device, which connects to the smartphone’s headphone jack, allowing for even more thorough exams. This app is a great way to stay connected with patients who might not otherwise follow through on follow-up appointments, properly manage their medication or follow their treatment plans. It allows doctors to stay connected with current patients and expand their practice by offering the service to new patients. Learn more about the Care-App. Information is power, especially when it comes to the latest accessing the latest medical literature. CASP (Critical Appraisal Skills Program) allows you to easily find, read and critically appraise the latest published papters. It provides a systematic approach to analyzing papers through electronic document management (EDM), which can help you identify information that can improve your practice and improve patient outcomes. You can learn more about CASP and the power it delivers on iMedicalApps.com. CASP can also be downloaded through iMedicalApps, although free registration is required. If you want to the learn more about leveraging the incredible power of mHealth to build your practice, make your life easier and improve outcomes, visit the FDA’s site about mHealth apps. Are you interested in networking online without apps? Consider physician forums! Obtaining a physician job offer is a great step when it comes to your long-term medical career path, but really, it’s only part of a much more in-depth process. Due to the stress of finding the ideal opportunity, some doctors tend to jump a the chance to take any offer, but that may not always be the best decision. Here are some of the things recruiters should consider before offering a position and some of the items physicians should consider before signing on the dotted line. Before you offer a medical job to someone with the right credentials and proper pedigree, make sure the physician fits the job requirements as a person. As Buckingham and Harter wrote in First, Break All the Rules, “people don’t change that much.” Choosing an extrovert as a pathologist may not be the wisest selection. If you hire a doctor who is temperamentally ill suited to the position you are filling, the result will be either a disgruntled employee or a turnover. Doctors and nurses are not fungible commodities. Each one is unique so make sure the person inside the white coat fits the specific job requirements. Be quite sure you understand the corporate culture and that you fit in, or that you want to fit in. The elements of corporate culture include: business environment; values; heroes; rites and rituals; and contact network. Do you feel comfortable with these elements? You are going to have to live with them if you accept the job. You spend more time with your coworkers than with any patient. Find out if you want to work with these people before you have to. Be clear and precise about support factors: salary, benefits, pension including vesting schedule, insurances especially liability (do not assume that hospital legal counsel will “have your back”), etc. Make a list and check on it before you sign on. If the position carries a level of authority such as Chief or Chair, you must also consider the following before accepting a physician leader job: personnel, lab space, clinical facilities, how much budget control, and do you have authority commensurate with your responsibility? Do not let them judge you for outcomes over which you have no control. What recourse do you have if you are dissatisfied or if they fail to honor the employment contract? It is not lack of good intent, but rather wise and prudent behavior to plan for the end at the beginning. The readings below contain helpful management information for both the hiring facility and a physician-employee thinking about accepting a job. Buckingham M, Coffman C, 1999. First, Break All the Rules: What the World’s Greatest Managers Do Differently, Simon & Schuster: New York, NY. Deal TE, Kennedy AA, 2000. Corporate Cultures—The Rites and Rituals of Corporate Life, Perseus: Cambridge, MA. Collins JC, Porras JI, 1997. Built To Last, HarperBusiness: New York, NY. Waldman JD, 2010. Uproot U.S. Healthcare, Second Edition. ADM Books: Albuquerque, NM. Waldman JD, et al. 2004. Changing the approach to workforce movements: Application of net retention rate in healthcare. Journal of Applied Business and Economics. 24(2): 38-60.